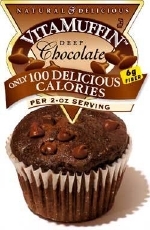 Tuesday Blog Review: Last week brought Shelley G’s correct answers to the Tuesday Trivia, and Lizzy R’s contribution of healthy, Vitalicious muffins (see link on right side of this page under “Nutrition”). And hopefully we’re all looking at how our Canola oil is processed. Mass controversial information is out there on the oil issue. Bottom line, for me, is that even “natural” oils are very concentrated (how many olives would you need to eat to get even a tablespoon of extra virgin olive oil?). So, they need to be a limited ingredient, and the most natural versions (expeller-pressed, as opposed to chemically extracted) as possible. AND… be sure to protect all oils from air and light, as these degrade their quality quickly. Tuesday Trivia: How many small, ripe, black olives does it take to yield 1 tablespoon of olive oil? Go for a power walk. People who regularly walk may be that much less likely to develop dementia compared with their couch-potato peers. Yeah, it’s that simple! 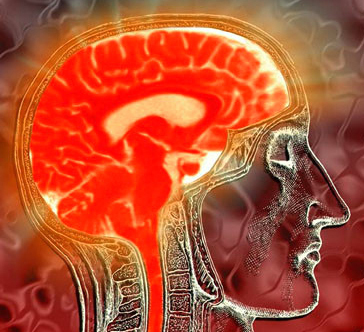 Vascular dementia is the second most common form of dementia after Alzheimer’s. It’s the nosedive that memory and other cognitive functions can take when ailing blood vessels restrict – and sometimes block – the flow of blood to the brain. But because exercise – even mild exercise like walking – increases cerebral blood flow, it may shrink the risk. Drinking fruit or vegetable juice at least three times per week may lower a person’s risk of Alzheimer’s disease, a recent study suggests. (Note from LK… please do not drink juices on an empty stomach. Unbuffered fruit juice in particular can cause spikes in insulin, which may bring about problems of their own). Antioxidants in the juice may be responsible for the effect. To keep your waistline from expanding, choose low-calorie or pure juices without any added sugar. In addition to drinking juice, another way to get your daily fill of antioxidants is to eat whole fruit, which also will add fiber to your diet. The antioxidants found in fruits and vegetables may protect your brain against oxidative damage caused by hydrogen peroxide and certain proteins. In a recent study, researchers discovered that people who drank three or more servings of fruit or vegetable juice per week were much less likely to develop Alzheimer’s than people who drank juice less than once per week (Note from LK… more on antioxidants next week). More research is needed to confirm the findings, but in the meantime, juice remains a quick and easy way to get an additional serving of fruit in your diet. Regular exercise and mental stimulation help ward off dementia as well. Slim down. Get your BMI (click that for a calculator) under 25. There’s already pretty much nothing good to say about obesity. Now factor in Alzheimer’s. It turns out that being seriously overweight not only translates into a greater risk of heart attack, stroke, and a host of other life-threatening conditions, but recent findings indicate that it’s bad for the brain as well. Especially if the weight is concentrated around the middle, because it’s associated with the brain changes linked to Alzheimer’s disease. Although the waist is one of the riskiest places to gain weight, the Alzheimer’s connection makes an ever-expanding middle a dire double whammy. Fortunately, the news isn’t all bad. One of the things that’s been shown to reduce the risk of dementia also pares off pounds: your old friend, exercise. Becoming more active, step by step, is one of the simplest, surest ways to keep your gray matter in good working order – and get your waist back, too. Tuesday Help Tip: LOVE this one! 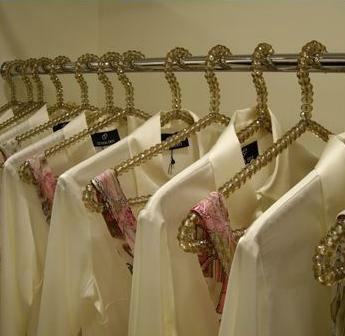 1st… take all the clothes hanging in your closet and turn the hangers around, so that the open sections of the hanger hooks are facing towards you. 2nd… set a time limit for yourself… a minimum of 12 months seems reasonable, as it will take you through 4 seasons. Personally, I may go for 18 months. Now…. whenever you wear and return something, hang it the right way around. This is really super! Lots of really good information. You are so right on about the politics. Glad some of you are enjoying the madness here… you all do many things for my life – I’m just returning the favor.